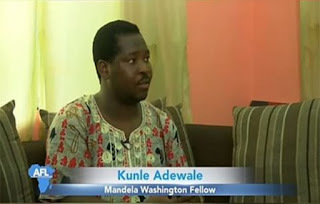 A 2015 Mandela Washington Fellow, Mr. Kunle Adewale, early last week, inaugurated an Art in Medicine Fellowship for public health practitioners and professional artists in Lagos. The 100 inductees will hold a series of creative art engagements such as painting, drawing and collaging for children and young adults living with sickle cell anaemia, cancer, and mental health conditions. The sessions will be held for patients in selected hospitals and healthcare centers in Lagos, including the National Sickle Cell Centre, Idi Araba; Lagos University Teaching Hospital (LUTH); and Federal Neuro Psychiatric Hospital, Yaba. According to Adewale, who doubles as project lead of Tender Arts in Nigeria, the Arts in Medicine initiative will enhance public perception of hospitals as centers for nurturing and healing. “There is increasing evidence that the display of visual art, especially images of nature, can have positive effects on health outcomes, including shorter length of stay in hospital, increased pain tolerance and decreased anxiety,” he explained. “The Arts in Medicine initiative is yet another example of projects that support U.S. Mission Nigeria’s goals. The U.S. Mission to Nigeria’s Public Affairs Sections make available grant and funding opportunities to carry out projects of this type, which have social impact. “We are happy to support this project which seeks to transform healthcare service delivery and healing through the arts. Creative arts programs can help patients work towards recovery in an effective and enjoyable way,” Zotter added.